How do Rotary clubs find their way in this confusing and multi-faceted world? It seems rather clear that larger well-funded clubs have the opportunity to pursue many avenues of community service while smaller clubs have to be very selective in their search for the most effective time and resource efficient projects. Why is this important? The answer lies within the process for attracting new members into your organization and, indeed, in retaining your current members. People are attracted to organizations where there are demands on their time, talent and treasure by the opportunity to work on projects for which they are emotionally attached. Of course, there are some who are attracted to the idea of networking, social events and the trappings of Rotary. But they are in the minority and certainly do not include the younger generations. Larger clubs may have many projects that their members may participate in, but they also still have to ensure the members are deeply attached and devoted to them or interest will wane. Every club has to go through a periodic consensus-building exercise to ensure the members are involved in the process of prioritizing and selecting projects that the members care about and are willing to devote their scarce time and energy towards. Smaller clubs have a much more difficult situation. Limited manpower, money and time prevent them from engaging in a wide variety of community or international projects so they have to be very selective. They may be interested in attracting more members but they should first concentrate on their club focus. What is their reason for being, their raison d’etre? To what project or community improvement will they attract new members? 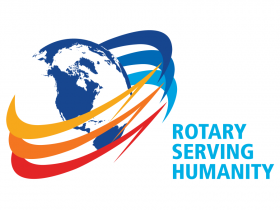 The idea of Rotary is not enough. Do they focus on the elderly, the needy, the veterans, the hospitals, the sick, the town square, the youth, scholarships, the poor and needy, or what? But focus they must. A club focused on a clear objective will be more successful in attracting new members to their cause than a club either trying to achieve too much or not focused on anything. The club leadership should spend its time determining the most relevant community needs and developing clear objectives for improvement projects around those needs. Then they can develop a clear message, in addition to all the Rotary mantras, to attract new members to their cause. People are attracted to the Rotary brand but they are also more attracted to clear community-improvement objectives to which they can relate and become emotionally attached. August 1: What would Paul Harris do? August 8: Where will we find new members? August 15: How do we approach prospective members?